That's my lovely daughter Ellie and her new husband Nathan. Isn't she gorgeous? 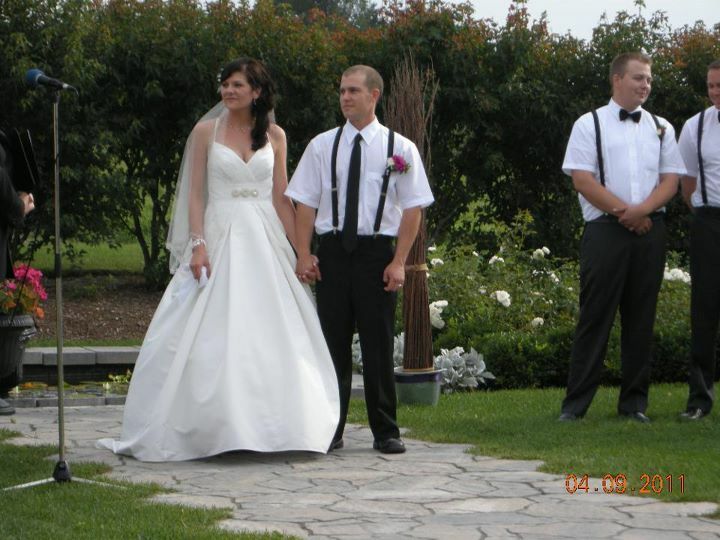 The one groomsman that you can see is my son, who was best man, and the wedding was on Sunday. I still have a house full of guests, so I hope you'll forgive me if I miss a few posts. I haven't picked up a book in about 8 days - actually I think I'm going through withdrawal. She is gorgeous and you have, obviously, been very busy. Congrats on your new son.